To help you overcome your weekly case of the Mondays, grab a partner and head over to The Highball for Motown Monday with Matchmaker Band. 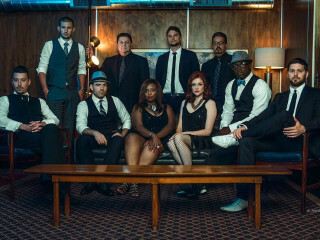 Austin's own ten-piece show band combines the classic sounds of Motown with soul and funk — and they're always dressed for the occasion. If you need to warm up before the each show, take a refresher course one hour beforehand at 8 pm with a free West Coast Swing class from Go Dance.